AvoBrite® is a faster excited state quencher than Octocrylene while also providing for multi-benefit claims in sun protection formulations, like film forming properties. As a polymer, it may enhance the water resistance of products in which it is incorporated. Its typical use level is 5 – 6%. AvoBrite® has been clinically proven to protect Avobenzone from degrading upon sun exposure and releasing damaging free radicals. With AvoBrite®, sun care products can safely maximize the strong UV absorption powers of Avobenzone and enter lucrative new markets. AvoBrite®: the cost effective, China-compliant solution for stabilizing Butyl Methoxydibenzoylmethane (Avobenzone), for safer high SPF (50+) protection with smooth texture and cost-effective PA++++ performance. 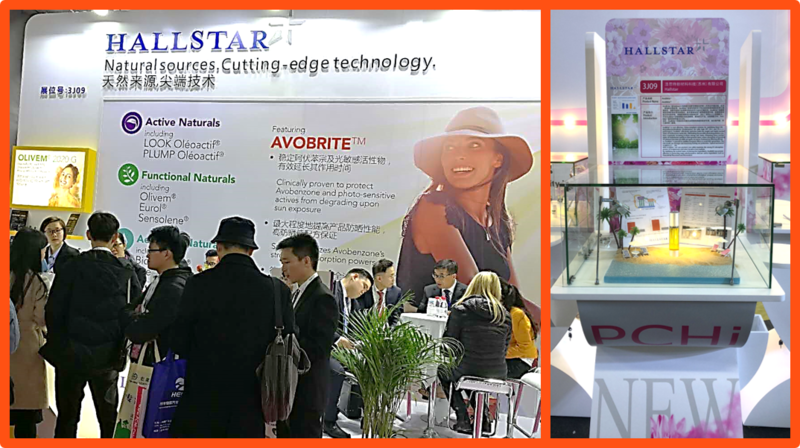 AvoBrite® garnered great attention at the 2019 PCHi trade show in Guangzhou, China.